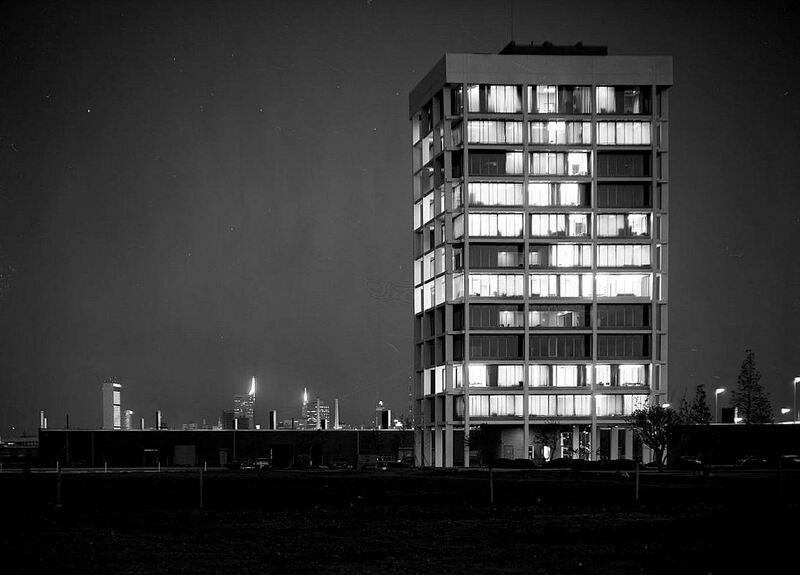 “Stemmons Tower with downtown Dallas, Texas in the background; photo taken at night,” by Squire Haskins, taken on April 19, 1963; from the Squire Haskins, Inc. Photography Collection, University of Texas at Arlington Libraries, Special Collections (more info on this photo can be found here). 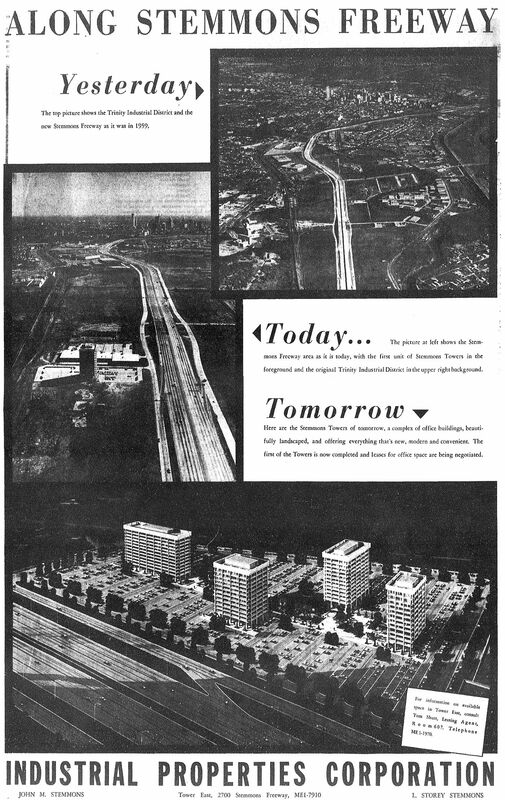 The first of several “towers,” construction of Trammel Crow’s Stemmons Tower East began in the summer of 1961 and was open and leasing by December, 1962. 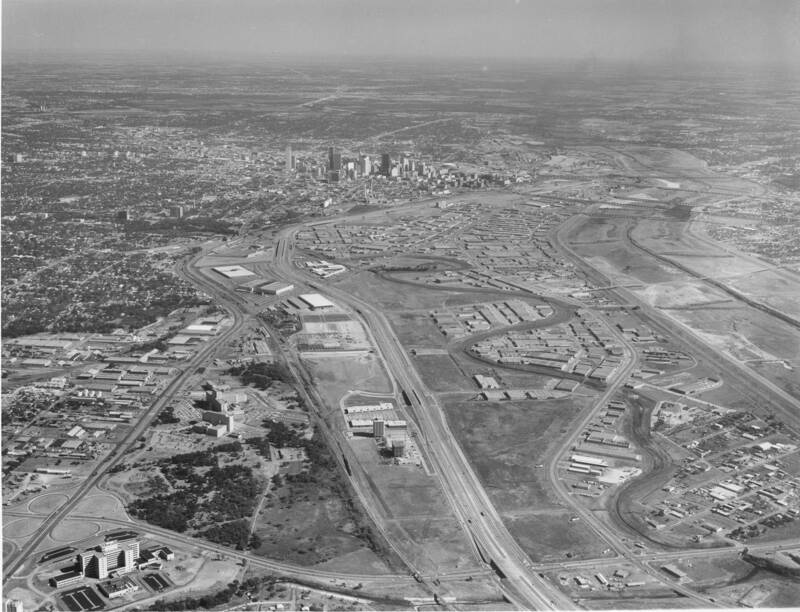 This office complex was part of the grand vision of the Trinity Industrial District and the “Stemmons corridor” (click ad below to see a much larger image). Did anyone ever go to the statue in the center of the Stemmons towers area at night? There was (still is?) a statue of a group of human like figures in robes and we’d take people there at night and tell them it was a witches coven! It looked pretty scary.